Snag a FREE Suave Professionals for Natural Hair Sample when you fill out the short form! 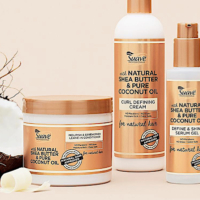 This product is infused with pure coconut oil and natural shea butter. Note that you may automatically be subscribed to their newsletter but you may unsubscribe at any time. Allow 2 to 3 weeks for delivery!